Pain can disrupt a person’s lifestyle and significantly impact their quality of life. Understanding the characteristics of pain, how to assess for pain, and the importance of pain control utilizing pain management strategies will serve to enhance the care you provide in your healthcare environment. 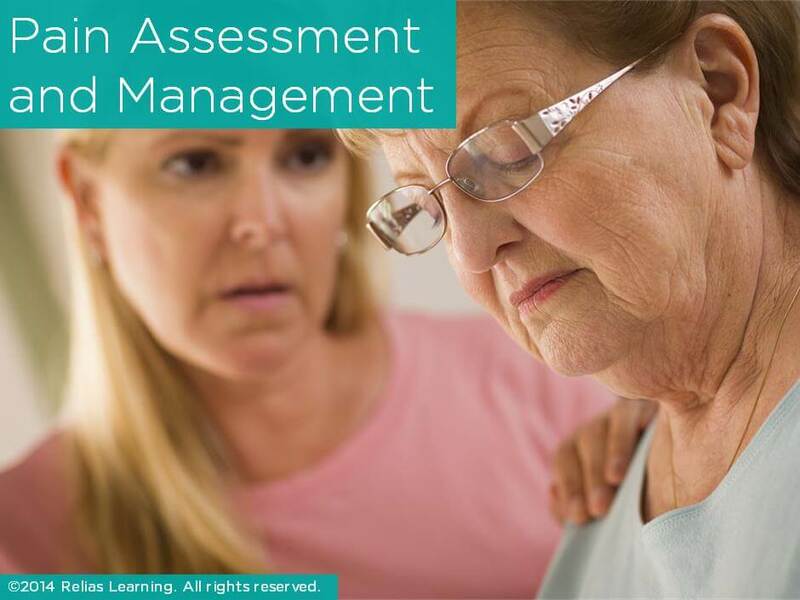 Directed towards direct care staff and activity professionals in long term care, hospice, and home health, this entry-level pain assessment and management course includes the types and classifications of pain, pain assessment tools for the verbal and nonverbal individual, basics of pain assessment, pain management strategies, and federal regulations that address quality of life and quality of care. This is not an accredited course for professional license renewal. Florida CNAs may use this inservice toward meeting their annual inservice requirement.This activity is approved for 2.00 contact hours. Relias, LLC is an approved provider of continuing education by the California Department of Public Health, Provider # NAC7001. The certificate must be retained by the licensee for a period of four (4) years after the course is completed. This learning activity meets the definition of *** ONLINE *** CEUs. This activity is approved for 1.00 contact hours. This course falls into the Body of Knowledge of the National Certification Council for Activity Professionals and will be accepted toward the 30% of continuing education permitted from Relias Learning, LLC. This activity is approved for 1.00 contact hours. 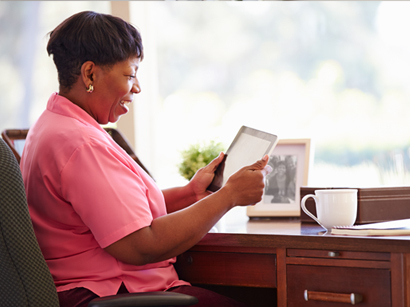 This on-line activity has been approved for 2.00 Patient Care Hour(s) toward the Missouri continuing education requirement for nursing home administrators. 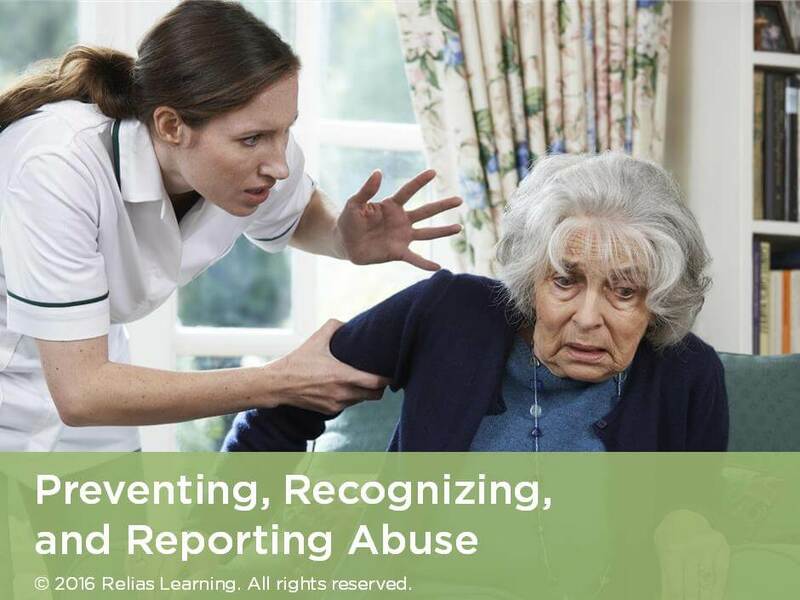 Relias LLC offers courses approved by the Missouri Health Care Association, an approved training agency, TA-002-919, by the Missouri Board of Nursing Home Administrators. This activity is approved for 2.00 contact hours. This course is NCCAP approved NCCAP 500259-19NT. All NCCAP approved courses count 100% towards certification. This course is approved as continuing education by the Oregon Department of Human Services in accordance with state regulation 411-057-0140 for Assisted Living Administrators, Residential Care facility Administrators and Memory Care Communities within the State of Oregon. This activity is approved by Oregon Department of Human Services for 2.00 contact hours. This activity is approved for 2.00 contact hours. Describe CMS tags related to quality of life and quality of care. Select the appropriate pain assessment tool for verbal and nonverbal individuals. Explain how to assess for pain intensity, quality, and location. List the steps in the World Health Organizations pain ladder. E.	It’s Time to Assess! Debi Damas is a registered nurse in the state of Ohio. As Group Product Manager for Acute Care courses at Relias Learning, Ms. Damas works with accreditations experts to ensure that Relias courses accurately reflect regulations and standards of practice, set the direction of new content, and ensure that existing courses are maintained on an ongoing basis. She has worked in the acute setting in the Coronary Care Unit, Med-Surg and Post-Partum/Newborn Nursery. She also has extensive experience in the post-acute care space for over 18 years, holding positions as Nursing Assistant, Charge Nurse, MDS Nurse, Restorative Nurse, Director of Nursing, Regional Nurse, and Corporate Nurse. She has extensive experience working with the regulations in healthcare settings. She has a certificate in legal nurse consulting. Disclosure: Debi Damas, RN has declared that no conflict of interest, Relevant Financial Relationship or Relevant Non-Financial Relationship exists. 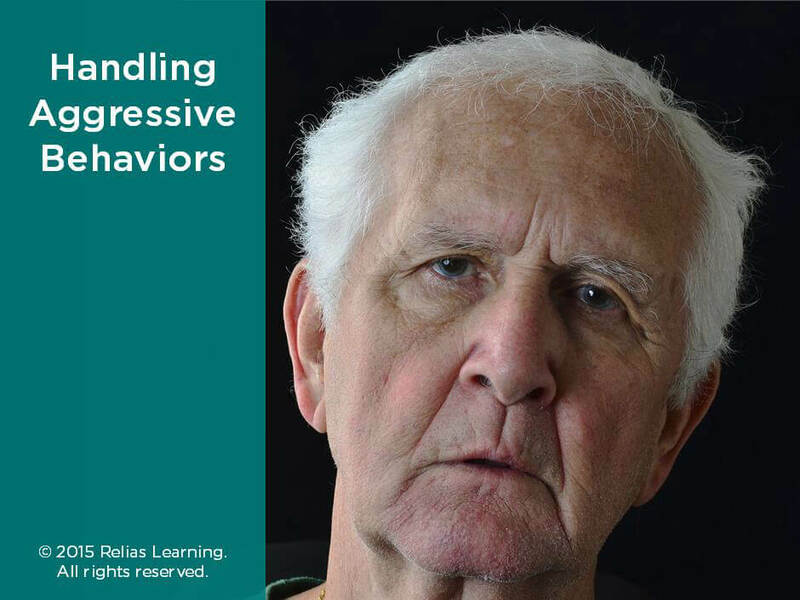 Expert Reviewer: Jim Collins, Ph.D.
Jim Collins, Ph.D. has spent his career developing and presenting continuing education seminars and workshops for 19 years and has taught college courses in Sociology, Psychology, Anthropology and Gerontology for over 15 years. He speaks at numerous professional conferences. Jim holds a Bachelor’s Degree in Gerontological Studies, a Master’s Degree in Sociology, a Certificate in Life Span Development and Gerontology, and a Ph.D. in Health Administration. He publishes articles in various health care magazines and has written and trained extensively on person-centered care. Jim has owned and operated a Geropsychiatric Practice, a nursing home consulting company and is proud to be a part of the Provider Services family of rehabilitation and long term care facilities in the great state of Ohio. Disclosure: Jim Collins, Ph.D. has declared that no conflict of interest, Relevant Financial Relationship or Relevant Non-Financial Relationship exists. Dr. Mary Evans graduated from Mayo Medical School, in Rochester, MN, and the Mayo Graduate School of Medicine. Dr. Evans is a full-time nursing home physician who works with Blue Ridge Long Term Care Associates in Charlottesville, VA. She is certified in hospice and palliative medicine and works as a general practitioner. She is an active member of the Virginia Medical Directors’ Association and the American Medical Directors Association. Disclosure: Mary Evans, MD has declared that no conflict of interest, Relevant Financial Relationship or Relevant Non-Financial Relationship exists. The target audience for this course is: entry level Activities Professional; intermediate level Direct Care Workers; in the following settings: Home Health, Post-Acute Care, Residential Care. Relias will be transparent in disclosing if any commercial support, sponsorship or co-providership is present prior to the learner completing the course. Asynchronous/Online Distance Learning; please see certificate details for specifics on delivery format. Relias has a grievance policy in place to facilitate reports of dissatisfaction. Relias will make every effort to resolve each grievance in a mutually satisfactory manner. In order to report a complaint or grievance please contact Relias. If you require special accommodations to complete this module, please contact Relias Support by completing the web form (https://www.relias.com/help) or by using the chat functionality. All courses offered by Relias, LLC are developed from a foundation of diversity, inclusiveness, and a multicultural perspective. Knowledge, values and awareness related to cultural competency are infused throughout the course content. Reference herein to any specific commercial product, process, or service by trade name, trademark, service mark, manufacturer or otherwise does not constitute or imply any endorsement, recommendation, or favoring of, or affiliation with, Relias, LLC. All characteristics and organizations referenced in the following training are fictional. Any resemblance to any actual organizations or persons living or dead, is purely coincidental. 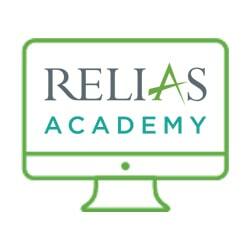 If you require special accommodations to complete this module, please contact Relias Customer Support here.